In a study conducted in the past spironolactone had been identified as the best add-on choice after triple-therapy failure for resistant hypertension.Dr.Krieger EM and associates conducted ReHOT trial to compare spironolactone versus clonidine as the fourth drug in patients with resistant hypertension.They found that spironolactone yielded similar results to clonidine for BP control as an add-on to triple therapy for resistant hypertension but performed better for some ambulatory BP measures.The findings of the research have been published in Journal HYPERTENSION. It was also found that Spironolactone was significantly better for 24-hour systolic (P=.030) and diastolic (P=.045) ambulatory BP and daytime diastolic ambulatory BP (P=.039).Only ~21% patients showed controlled BP after administration of the fourth drug. The researchers concluded that clonidine was not superior to spironolactone in true resistant hypertensive patients, but the overall BP control was low (≈21%). Considering easier posology and greater decrease in secondary end points, spironolactone is preferable for the fourth-drug therapy. Spironolactone Versus Clonidine as a Fourth-Drug Therapy for Resistant Hypertension. 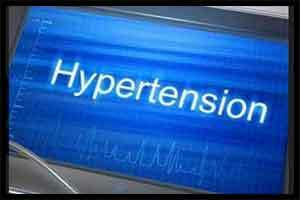 Hypertension. 2018 Feb 20. The drug of choices are on the basis of mult mechanism action ,age and co morbidity diseases and associated diseases. It mainly around heart , kidney , endocrine, vascular system affection .